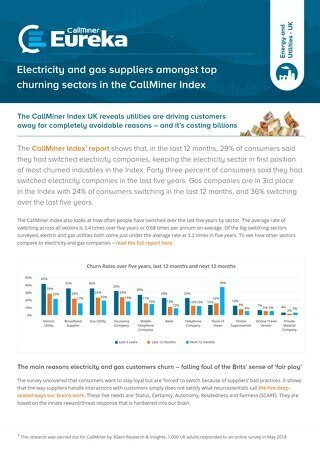 CallMiner had some amazing product news, awards and press in 2018 and in case you missed it, below are 10 highlights from the year! You can keep up with all the latest news by subscribing to the blog or follow us on LinkedIn, Twitter and Facebook. CallMiner’s dedication to customer satisfaction through training, support, and community for customer engagement analytics professionals reflected in our highest NPS score to date. Our 2018 Net Promoter Score set another company record at 59, beating the 2017 record of 51. With a final score of 59, CallMiner ranks in the top percentile of software company NPS scores. The rating marks the third consecutive year of NPS improvement for CallMiner. The CallMiner annual user conference LISTEN highlights customer engagement analytics use cases and provides education and networking opportunities for attendees. This year’s event honored three customers with LISTEN Awards for their achievements in speech analytics success at its annual user conference held October 23-25. LISTEN awards were presented to customer engagement analytics users whose efforts had a direct impact on improving business results for their companies. LISTEN Award winners Quentin (Quinn) Burrell, Business Analyst at financial services provider First Associates, Pulkit Jain, Manager of Business Information Analytics at financial services provider Encore Capital Group, Marvie Wright, Director of Leadership and Sales Training at marketing and customer engagement solution provider Dialog Direct. Read more about the winners and the event here. Hubspot’s Sophia Bernazzani @Soph_bern highlighted our infographic on customer loyalty. Your customers have high expectations of the companies they choose to patronize. And as it turns out, only one instance of missed expectations can make customers change providers for what they perceive to be a better opportunity. Read more of the Hubspot story here. CallMiner customer, Cabot Credit Management (Cabot), has won the ‘Best Use of Technology’ Award at the Credit Excellence Awards 2018 presented by CCR Magazine. The Credit Excellence Awards recognize organizations that work in a way that is likely to inspire others in the profession to deliver the best possible customer outcomes. 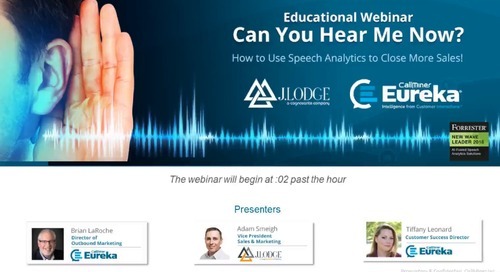 The judges were impressed by the way Cabot uses CallMiner Eureka speech analytics to deliver immediate and sustained benefits to its customers, its people and its business. Read more of the award news here. 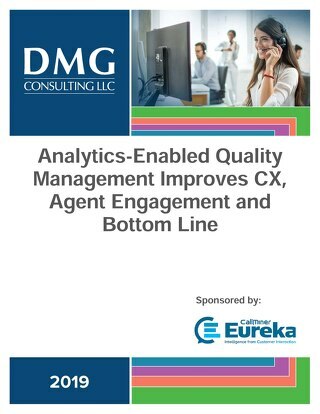 Partnership combines CallMiner contact center engagement analytics with Medallia’s solicited feedback data. The new partnership pairs CallMiner’s contact center engagement analytics with those of Medallia’s feedback solutions to provide comprehensive Voice of the Customer (VOC) insight within a cloud-based integrated offering. 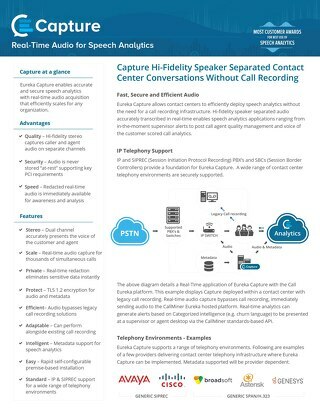 This podcast featuring CallMiner and customer SiriusXM was recorded at the 2018 Customer Contact Week in Las Vegas. If you want to know how your contact center is currently performing, look at your metrics and scorecards. If you want to truly understand how customers feel about your brand – and how to fix any problems – you need to dig deeper. 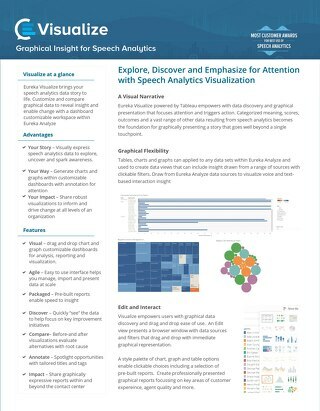 You need a robust, ever-evolving analytics program. SiriusXM is fervently committed to such a program, and senior solutions manager Emily Deragon discusses that analytics journey in the new CCW Digital podcast. She does not do so alone. CallMiner Eureka’s Brian LaRoche also participates in the discussion, sharing his expertise from working with SiriusXM and many other customer-centric brands. Here there podcast interview with Emily and Brian here. Forrester’s Principal Analyst Ian Jacobs writes of their New Wave report, “The Forrester New Wave™: AI-Fueled Speech Analytics Solutions, Q2 2018” which identified the 11 most significant players in this market and named CallMiner a leader. Read Ian’s interesting takeaways from their research. Hear more about the research in the our recent webinar with Ian and Director of Product Marketing Steve Chriokas. 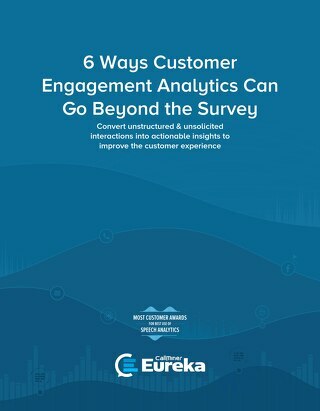 New interaction analytics modules provide end-to-end customer intelligence using scalable Eureka platform engine. CallMiner launch its comprehensive CallMiner Eureka platform and new analytics modules: Analyze, Coach, API, Redact, and Alert. Powered by the Eureka data mining engine, the new modules are built to meet the full range of customer intelligence needs from real-time to post-contact analysis. Each of the AI-driven analytics modules now leverage the core Eureka data processing engine that was enhanced earlier this year. By consolidating all modules onto a single platform, customers benefit from faster improvements, shared administration, and greater interoperability across the entire product suite. 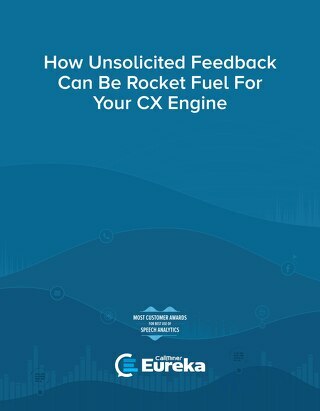 The Eureka 10 Post-Contact Interaction Analytics Suite was recognized for its user-friendliness, robust in-depth analysis of customer interactions and agent performance, and fast response to its customers’ needs. The awards, run annually by Call Centre Helper, recognize the best contact center technologies available globally. The Top 10 is created by customer votes, making these the most impartial of all the contact centre technology awards. 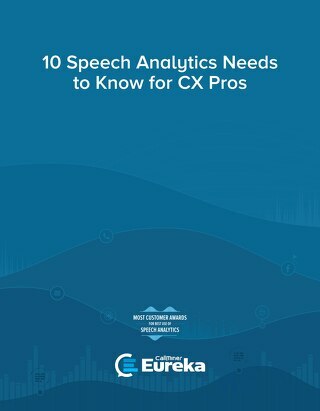 Eureka 10 was recognized for being intuitive and user-friendly with the intent of making customers more self-sufficient and less reliant on professional services to drive their own analytics success. Read complete award news here. 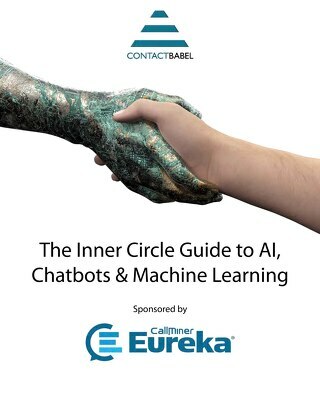 Through this partnership, the CallMiner Eureka Voice of the Customer analytics platform has combined with Nuance’s Professional Services team to reveal insights from automated analysis of communications across channels – calls, chat, emails, texts, social media, surveys, and more. 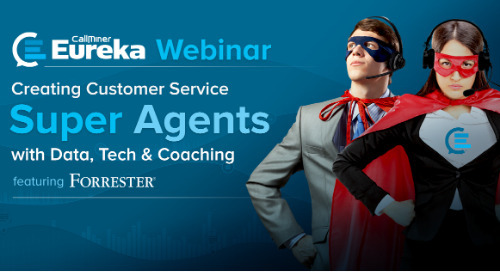 Key impacts of this solution include the ability to guide efforts to improve the customer experience, continuously improve contact center efficiency, manage agent performance and mitigate risk and compliance issues. 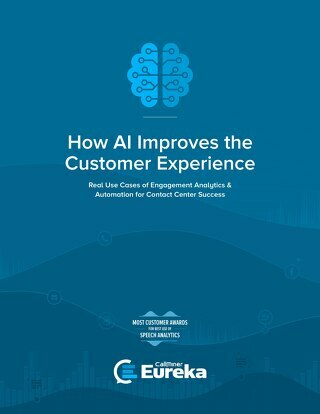 “Today, demands on contact centers are increasingly complex as customers use multiple channels for contact, have greater expectations on service, and desire personalized and efficient experiences. 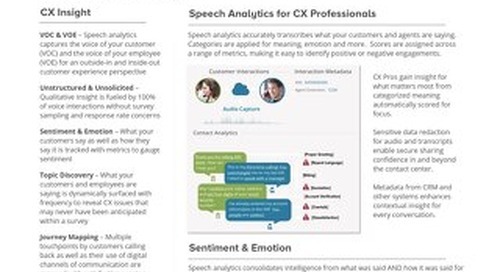 The recognition from the Stevie Awards demonstrates that the joint Nuance and CallMiner Customer Engagement Analytics solution is providing real value for enterprises by leveraging AI to improve the customer experience and increase efficiencies,” said Tony Lorentzen, senior vice president and general manager for Voice and Security solutions, Nuance Enterprise Division. The post ICYMI: CallMiner Top 10 Stories of 2018 appeared first on CallMiner.